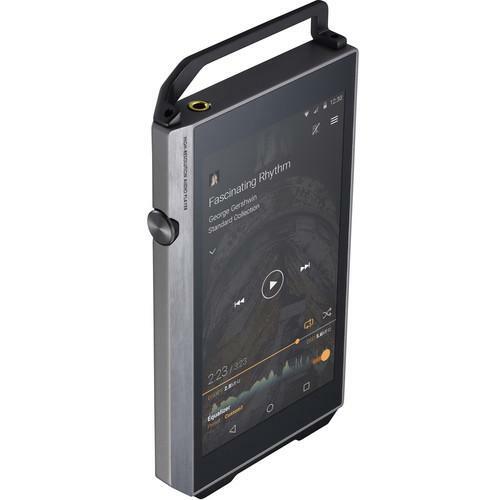 We recommend checking out our discussion threads on the Pioneer XDP-100R Portable High-Resolution Digital XDP-100R-S, which address similar problems with connecting and setting up iPods & Media Players Pioneer. The user manual for the Pioneer XDP-100R Portable High-Resolution Digital XDP-100R-S provides necessary instructions for the proper use of the product TVs & Entertainment - Portable Audio - iPods & Media Players. 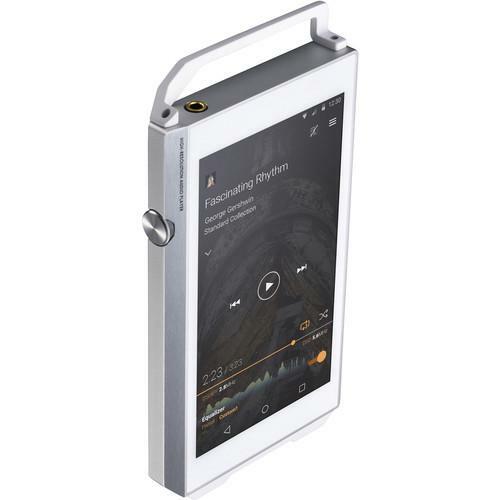 Styled in a silver finish, the XDP-100R by Pioneer is a portable digital audio player that puts high-resolution audio—streaming or otherwise—right in your pocket. The player supports formats up to DSD 11.2 MHz, 384 kHz/24-bit FLAC/WAV/PCM files, and, with firmware update, the high-res lossless MQA codec for streaming. In addition to its on-board SABRE DAC & headphone amp, this device offers a closed-loop construction (including separated audio and CPU boards) as well as analog circuitry consolidated around the headphone jack in order to eliminate extraneous noise. 32GB of internal storage is provided, though disk space can expand with the insertion of one or two microSD cards (available separately). The unit also features Bluetooth and Wi-Fi. Turn your attention to the XDP-100R's software and you'll notice that it comes pre-loaded with the X-DAP link app (for transferring your music library onto the XDP-100R) and the OnkyoMusic app (for downloading high-res audio files straight to the player). The device also features Android OS, so you can access Google Play, should you wish to download and utilize other apps—all of which are visible and controllable via its 4.7", 1280 x 780 touchscreen. If you own a Pioneer ipods & media players and have a user manual in electronic form, you can upload it to this website using the link on the right side of the screen. Box Dimensions (LxWxH) 7.3 x 5.6 x 2.4"
The user manual for the Pioneer XDP-100R Portable High-Resolution Digital XDP-100R-S can be downloaded in .pdf format if it did not come with your new ipods & media players, although the seller is required to supply one. It is also quite common that customers throw out the user manual with the box, or put the CD away somewhere and then can’t find it. That’s why we and other Pioneer users keep a unique electronic library for Pioneer ipods & media playerss, where you can use our link to download the user manual for the Pioneer XDP-100R Portable High-Resolution Digital XDP-100R-S. The user manual lists all of the functions of the Pioneer XDP-100R Portable High-Resolution Digital XDP-100R-S, all the basic and advanced features and tells you how to use the ipods & media players. The manual also provides troubleshooting for common problems. Even greater detail is provided by the service manual, which is not typically shipped with the product, but which can often be downloaded from Pioneer service. If you want to help expand our database, you can upload a link to this website to download a user manual or service manual, ideally in .pdf format. These pages are created by you – users of the Pioneer XDP-100R Portable High-Resolution Digital XDP-100R-S. User manuals are also available on the Pioneer website under TVs & Entertainment - Portable Audio - iPods & Media Players. Which of the three coloured arrows,(blue/orange/purple) is the onboard 32GB storage?